Following my natural aptitude for music, I decided recently to change my style. There are no tricks, it is just me, my guitar and my songs. I have narrated my stories, my loves and my friendships using the acoustic sounds of my voice and guitar. 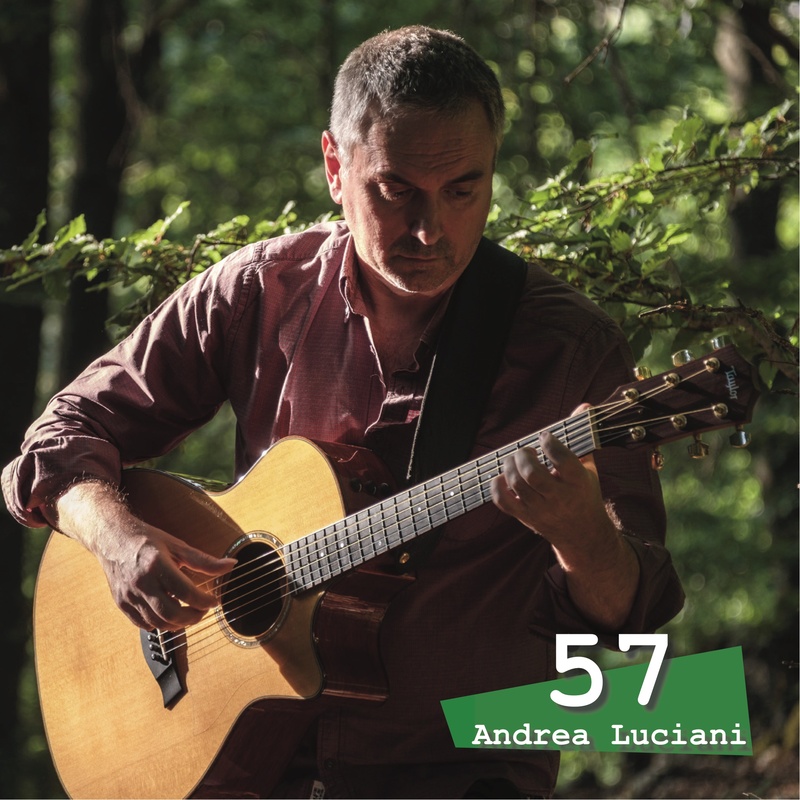 Welcome to Andrea Luciani's website. His guitar techniques have been influenced by artists such as Bruce Cockburn, Allan Taylor, Nic Jones, John Fahey, Leo Kottke, and "Mr. Tambourine Man" Bruce Langhorne. His first shows took place at Folkstudio, the legendary folk club in Rome. and despite the struggles he faced singing in this non-native language, he continued to work hard and you can now listen to his new album ’57’ - the successful result of his labours.